Thank you HTG for all the support and great advice. So happy with the results of the sale! I could have never made this change in my life without the help of HTG. They came in, took charge, and got me on track. With moving and downsizing, I was overwhelmed. Thank you for all the hard work and a successful sale. I'm so happy with the outcome. HTG stood by me from start to finish. The burden of cleaning out and the process of sorting and making decisions while dealing with my loss was overwhelming. They went above and beyond their call of duty. 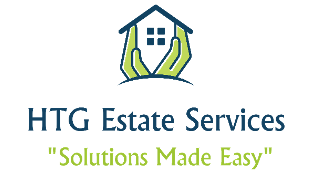 I highly recommend HTG Estate Services. We never thought we would see the light at the end of the tunnel, but HTG walked us through the process and it was AMAZING! The hardest working group of people we've ever seen! Thank you for making it seem so effortless. HTG treats you like family. They put you at ease and make you feel like everything will be okay. They are a well-oiled machine, everyone has a specialty. Busiest family business I've ever seen. They take great care of their clients. So happy my friend referred them to me. Best decision I made. Letting strangers into our parents' home was terrifying. After meeting Diane and Eddie of HTG, our fears were erased. Thank you for being there for us and taking such great care of all their prized possessions. You really made us feel a part of YOUR family. And GREAT JOB on that sale. Who knew people would buy all that stuff! 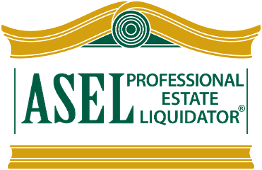 - Cindi and Jeff S.
Thank you for helping me clean out and sell my mother's belongings. I know it was a bit more challenging due to my being on another coast, but your professionalism and efficiency, not to mention your warm and caring staff, gave me and my family great comfort knowing her things were in good hands. Thanks again for a job well done. I want to thank you and all the staff at HTG for a job well done. You cleaned out, set up and staged and had my parents' home ready for the Realtor in record time. I had no idea they had so many neighbors! I will see you when it's time to sell our things. Thanks again. Let me thank our estate lawyer for the best referral. HTG performed an estate sale in my father's home. I had no idea the process was so involved. They made it look easy. Appreciate their dedication and hard work. People need to remember that kindness matters and these people were a perfect example of that. They took us under their wings and held our hand from start to finish. They were always there to answer questions, roll with our changes and give a hug if we needed it. An emotional process, glad we had them by our sides. - Doug and Karen F.